Last weekend we traveled up to Nikko to look at properties. Along the way, we could see the damage caused by the earthquake that hit southern Tochigi Prefecture the day before, mostly in the form of blue tarp hastily stretched across roofs where kawara tiles had broken loose. Kawara tends to be used in more traditional houses and is considered to have better weather-proofing and climate control properties than regular shingles. However, they are notoriously difficult to apply and easily come loose during earthquakes. Roofers throughout the Kanto and Tohoku regions are raking it in right now. Nikko is one of Japan’s most historically significant places and a UNESCO World Heritage site. It was combined with several other neighboring towns and villages some years ago, and the area we visited is in the residential district to the south of the famous temples. In that regard, it isn’t significantly different from your average suburban residential area–meaning it’s cramped and nondescript–though the surrounding mountains and abundant pockets of wooded areas and terraced farmlands give it some character. The first place we visited, in fact, was in a development originally subdivided for besso (second homes). We got off at Tobu Shimo Goshiro station, which was small enough to not have a ticket wicket (we were on the honor system and only required to drop our tickets into an unattended box), and walked for 25 minutes through rolling hills and past the old cedar-lined Nikko Kaido to the subdivision, which didn’t really look like a subdivision when you approach it from the main road. Situated in a grove, it did look like a besso community, meaning the homes were varied in style, shape, and size. The property we were looking at was in the middle, next to a golf course, and the real estate agent from a Shinagawa-based company called Mount, who was going to show us all the properties, was already there getting the place ready for our inspection. In any other subdivision the house would be fit in perfectly, but here it stuck out almost garishly. It was basically prefab, meaning one of those manufactured homes you pick out of a catalogue and put up in two or three months. They’re cheap and this one certainly looked cheap: grey fake-brick siding that had been applied so sloppily the nails were visible, and white aluminum-sash windows that looked as if they’d been forced in with crowbars. Over the phone the day before, the agent warned us that he’d heard from the owner, who lived in Saitama, that the earthquake had caused a bit of cosmetic damage. It was nice of him to inform us, though, cynics that we are, we thought maybe he was trying to call the whole thing off since, like us, he would have to make the trip all the way from Tokyo, and, in fact, rented a car for that purpose (Mount does not keep a fleet of vehicles, a decision that caused them to rise in my estimation). After we talked with him a little while, however, we realized how conscientious he was being. Mount does most of its marketing on the Internet, and this trip to Nikko would give the agent the opportunity to look at the properties on their listing more carefully and take pictures that could be uploaded on their website. He knew this particular house was no bargain. In fact, at ¥11 million it was grossly overpriced, and he told us that because the owner wanted cash for it as soon as possible he could probably be bargained down by a substantial amount. We knew as soon as we stepped into the place that there was no amount of money we would pay for it. There were flaws and signs of damage, though whether it was due to the earthquake was difficult to tell. Masonry was slightly cracked, but also the kurosu wall covering was ripped in certain places, which probably indicated bad workmanship rather than structural damage. But even worse, the design was a mess: the central hallway too wide, the kitchen/dining area too narrow. And even though the living room had a light well, it was still murky and dim. The single most telling indication of the lack of clear thinking was a stripped tree trunk that held up one end of the kitchen counter and extended up to the second floor. This was obviously meant to add a touch of homey “besso” distinction to an otherwise ugly suburban prefab, but it looked ridiculous. Even the agent scratched his head. A friend of ours, a woman named Saito, arrived not long after we did. Saito-san is an agent for East Log House, a company that imports wood houses from Finland. Several years ago we were interested in possibly buying property and building a log house, but had soon realized we couldn’t afford it. Still, we kept in touch with Sato-san, who also ran her own small real estate service and happened to live in Nikko. She volunteered to tag along during our excursion. The Mount agent seemed happy to have her there. She knew the area better than he did and he might be able to learn something. The next property was even worse, even though the owner had renovated it for purposes of unloading it. Though the owner of the first property hadn’t made any improvements, at least it was situated in a wooded area and had a view of rice fields and mountains. The second property was situated in a subdivision that had been squeezed into a tiny valley. The houses were built practically on top of one another. It also had siding, but at least the siding had been recently painted. 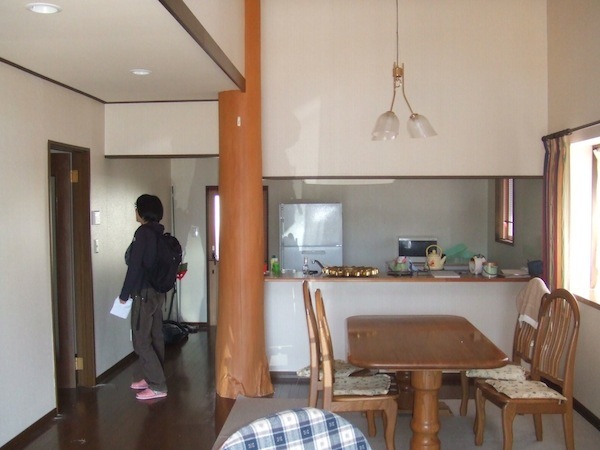 The interior was a curious mix of fresh-house sterility perpetrated by the new fixtures and wallpaper, and quaint cheapness perpetrated by the low doorways that seem to be a requirement for washitsu (Japanese rooms, meaning those with tatami mats and fusama sliding doors). It was the perfect example of an obviously inferior residential structure built for a family that was forced to occupy a piece of land that was not meant for a family. Houses occupied the land immediately to the south, west, and east, so there was almost no light entering the building from those directions, even on the second floor. 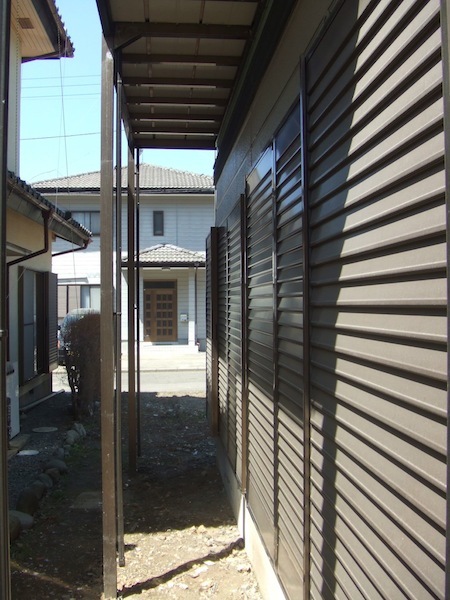 The north side was clear (not a “yard” but a dirt parking area), but because of that mysterious rule that houses in Japan must “face” south, there were no windows on the north side on the first floor, making the kitchen as dark as a basement. The reason for the renovation was clear; to add value to a property that was worthless, at least to us. Quizzing the agent we figured out that the owners had spent a mere ¥1 million in improvements and then added ¥2 million to the price (¥10 million). This seemed to be a common gambit for selling these sort of unsellable properties, which are becoming ubiquitous throughout Japan; the detritus of the overpriced housing boom of the 80s and 90s. When we asked the agent what possible appeal this property could have to anyone, he said, “Well, it’s close to the school.” Yes, we certainly didn’t represent the potential buyer for this kind of house. The third property, though still a suburban prefab job, was such an improvement we almost succumbed to saying we actually liked it. Situated on the edge of a subdivision, and not far from a JR station, it overlooked an orchard and a valley, and in the distance (beyond a love hotel that was a bit more tastefully appointed than the usual representative of the species) mountains. The agent implied that the view would never be blocked because the land was designated as agricultural, which means it couldn’t be developed without a great deal of bureaucratic sleight-of-hand. Such a reassurance would normally mean nothing–dedicated developers won’t let regulations get in their way–but the market isn’t what it used to be and we took him at his word. If it hadn’t been developed by this point, it probably never would be, owing to how depressed the housing market in this area apparently was. This house had also been renovated, though, again, the improvements were cosmetic and generic: white kurosu, fake tile in the bathroom. The windows, while still aluminum, were double-glazed, however. And the layout was such that every room except the kitchen received a lot of sunlight. It cost ¥11 million. 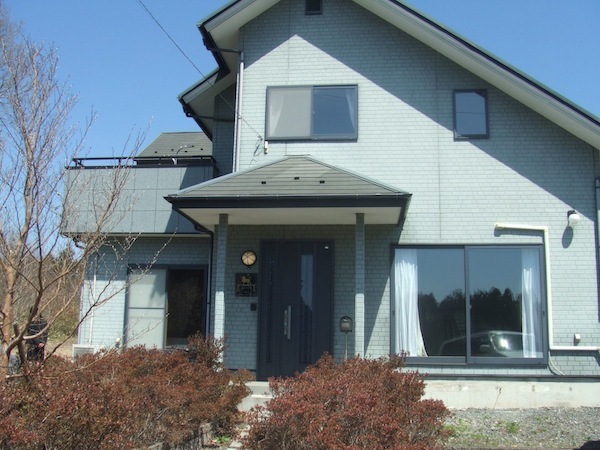 We envisioned having to sink at least another ¥6 million to make it look like something we’d want to live in the rest of our lives, so we asked the agent if he thought the owners would be open to bargaining. He couldn’t say, of course, since he had never even met the owners, but he indicated in a roundabout way that almost any property “like this” was open for bargaining, which confirmed our suspicion: Everything is purposely overpriced because the owner knows he can never get what he wants for it (much less, what he originally paid for it) and so has to start from a position where he can get as much as possible. Our only advantage in this food chain of property transactions is that we know we’d never be able to sell this place for as much as we paid for it. The agent dropped us off back at the first house, where Saito-san had left her car. The three of us decided to have lunch and Saito-san recommended a cafe in Imaichi, one of the towns that had been incorporated into greater Nikko. The cafe was in what looked like a renovated commercial property, probably a small factory, in the “city center” near the JR station. It was a nice old Japanese neighborhood, cramped but in a practical way. The reason she brought us to the cafe had less to do with the food (which was plentiful by Japanese standards) and the coffee (very good) than with the interior. 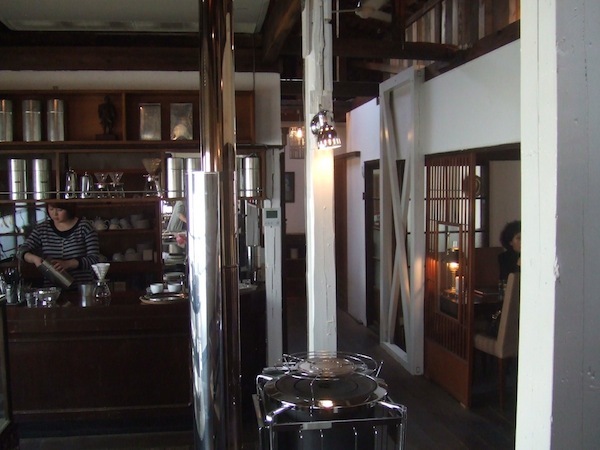 The owners had exploited the old Japanese fixtures and added some antique touches of their own–they’d even incorporated the diagonal anti-earthquake supports into the interior design–but it didn’t have the pretentious air of faux-weathered respectability you find in similar establishments in the countryside. It felt lived-in, and it matched its surroundings perfectly. 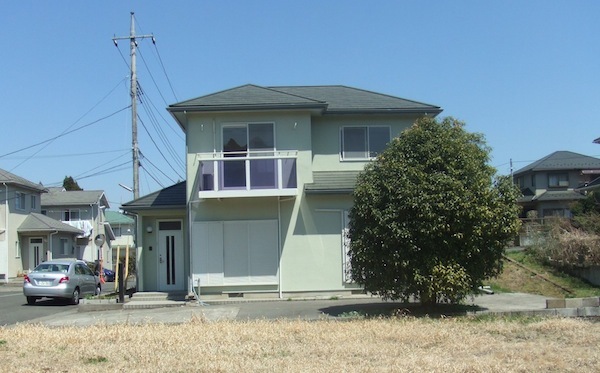 What Saito-san wanted to say was that there were lots of old properties like this that could be bought at low prices and fixed up to our specifications. Obviously, she would like to help us realize such a plan, and the fact is, we would happily allow her to do so except for certain reservations. Buying old cheap properties and turning them into one’s dream home is a tradition as old as real estate, and my knowledge of people who have done it tells me that it tends to be an everlasting process. Certainly, the cheaper the property, the more expensive the renovation, so if you start with a number for what you want to pay, how do you calculate the property price against the renovation costs? If Saito-san could do that for us, then she’d be worth every yen she’d charge us as a fee. Maybe we’ve become too cynical after almost 20 years of thinking about these things, but as well-meaning as she was, we doubted she could. Reading this blog, each post is more depressing and disheartening than the last. Why do developers even build such junk? At this point (or at least sometime soon) shouldn’t housing should be a buyer’s market, especially in a place like Nikko? Why do people continue to settle for rabbit hutches? Do you have any recommendations for further reading on Japanese housing, in Japanese or otherwise? People settle for junk for a simple reason: money, or, more exactly, not enough of it. And, sadly, because they don’t know better…until it’s too late. Love this blog- thanks for putting in so much work. You are helping so many people (like me) who are currently in the housing market. Thanks again! Thanks for the encouragement. We’re currently negotiating with the Japan Times to write a monthly column on Japanese housing. I hope it can start in June or July. It seems to me that it’s much cheaper to buy than to rent — because the interest rate on loans is so low. Buying a cheap but well-built place allows you to save money and move to a better place in future if you wish. A new place, or expensive place, on the other hand, is likely to depreciate in value quite quickly — unless it’s a very small place near a major station in central Tokyo, where people are prepared to pay for convenience and/or proximity to good schools. If you don’t have to commute daily into central Tokyo, and don’t have pets like cats or dogs, then a second-hand “danchi” condo might be a good choice for a first home-of-your-own. (Some danchi residents with very quiet cats or dogs get away with flouting the “no pets” rule — but there are people who object to song birds, unbelievable!) “Bargain-priced” danchi that are over one hour from Shinjuku tend to be cheap because of the inconvenience of commuting and (for some) the “small size” — some are around 65 sq. m. But danchi usually are close to schools and shopping. I know of a couple of danchi in the green hills of Kanagawa that would be nice if you like the countryside and don’t mind the commute to Tokyo. Thanks for the tips. Yes, it’s cheaper to buy than to rent. Our problem is that we don’t qualify for a loan (we tried, and it was going to be a topic for a post–and probably will be in the future once I recover from the shock) so we can only buy something with cash, which is sort of limited in our case. A foreigner probably needs permanent residence to qualify for a loan. If you are married to a Japanese, you should get a one-year-or-better visa, and being on a one-year-or-better visa (and married to a Japanese) should get you permanent residence in about three years. Maybe “marriage” can effectively be backdated by certifying that you’ve lived together for x years (if that’s true) when you get a marriage certificate. 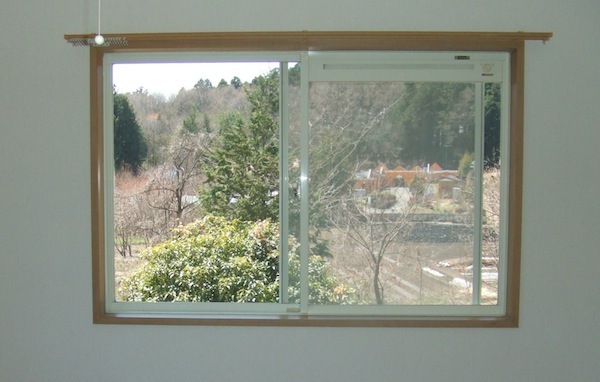 You can rent a 2DK or 3K in a danchi in the beautiful hills of Kanagawa for about 50,000 a month. The size is only about 43-53 sq. m. (Units that are for sale rather than rent tend to be bigger). Surely you can save enough for the deposit on a place of your own in no more than three years. Rental units are a little over 30 years old, but in beautiful condition. Some UR danchi even rent shop space, and for hard-to-rent shop space will give you six months rent free. OK for an English school or translation company, I’d assume. I’ve been married to a Japanese woman for 29 years and have been a permanent resident of Japan since the mid-90s. The reason we don’t qualify for a loan is simply that we are both self-employed and don’t make enough money–or, at least, we didn’t make enough money last year. Times are tough for freelance writers. We presently live in a UR apartment. Sorry, “2% or 2.5% a month” should of course read “2% or 2.5% a year”. PS: Talk about a loan with the same bank that you’ve been using to pay the UR “mansion” rent from. 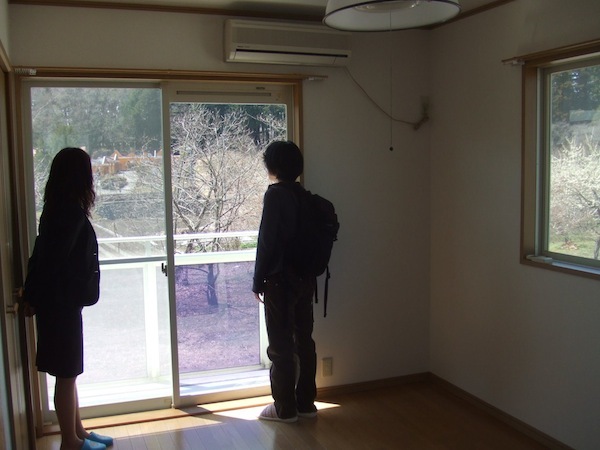 For a couple, there are UR 3LDK “terraced houses” about an hour out of Shinjuku that are about 72 sq. m. and rent for about 75,000. The truly depressing thing is that cheap, shoddy, yet expensive housing is the new normal everywhere…it is certainly the case in Canada, where I live, and in Europe, where I used to live quite a few years back.. Some of my clients had old homes that we renovated ( mostly plumbing, electrical stuff, paint etc. we seldom touched old floors, doors etc.) I rented an Art Deco house (1930s) myself, with a garden, for a moderate amount. These old homes (many were 100 to 300 years old, some older than that) had tall ceilings (10 ft was the bare minimum) good size rooms and, most importantly, had a simple but flexible lay-out that allowed owners to use these rooms as they wished, unlike modern homes that dictate that this room must be a living room, that one a bedroom. This was also the case in several of the older towns in Canada, where I lived in various 19th cent. houses that were great. Thanks for the input. Apparently, sub-standard housing is something of a standard worldwide, a function of short-term economics rather than long-term social stability. What was most revealing about your comment is the remark about how in older homes the utility of a given room was not pre-determined. That pretty much crystallizes what bothers me most about newer Japanese housing, especially condos. The layouts are clearly prioritized to make bigger profits for the developer, which hides the fact by providing more rooms that have definite uses. A family buys a “3LDK,” which indicates that in addition to a “living-dining-kitchen” area, there are three bedrooms, though in many cases the “bedrooms” are small, dark boxes that simply take up whatever space is left over. There’s no coherence to the design, no thought given to the way people really live. I have just found this blog, and I must say it is refreshing take on life here in Japan. It is also somewhat timely that I stumbled upon this article too, as you will soon understand. I live in Nasu Karasuyama City, Tochigi. My closest neighbor is 100m away. I am surrounded by rice fields and sit at the foot of a prefectural reserve (pine/sakura trees, hiking etc). I am about to put my 3yr old home on the market. The house was built using the traditional Japanese Daiku technique, meaning the structure is made of Sugi wood and largely interlocking. It has double paned windows throughout, two lofts, and is currently All Denka. There is also a detached studio (8 jyo), a five space carpark, grass lawn, a willow and maple (amongst other trees), and a huge wooden bath (wood and tile lined bathroom). I am asking 2300man yen. The earthquake forced me to re-think the priorities in my own life. The reason for selling is that I wish to start a new business, travel, and later move to my in-laws. The house suffered NO serious damage during the earthquake, apart from the water heater, and marks to the wooden flooring, which I myself will replace/repair. It is built to last, with galvanized roofing and eco friendly plastered walls with netted reinforcing (no wallpaper!). If you’re interested, please drop me a line. Regardless of the above, enjoy your life in Japan !! This is a wonderful country, and it will forever hold a special place in all our hearts, no matter the challenges we face. Thanks for the post. It’s a bit out of our price range, at least at the moment, but we would be very interested in seeing what the property looks like, if you have any photos you can share. We’re also interested in hearing about your success in selling it. Keep in touch. Fixed my TV antenna last week, and now have all channels viewable (a rarity in my rural area), as well as hikari fibre, and the odd UFO sighting ! Let me know where to send the pictures. Enjoy your weekend. I had just gotten permanent residency when I bought here in Shinjuku. I’m a freelance translator, and the bank was interested in my annual earnings from multiple clients. By the way, in my case, the real estate agent did all the footwork finding the bank etc. I just showed up with my hanko and stamped the loan contract. The place was new and in Shinjuku so that may have been encouraging to the bank.